Artificial intelligence is changing the world rapidly, and the global economy will shift to meet the new technology as it always has. 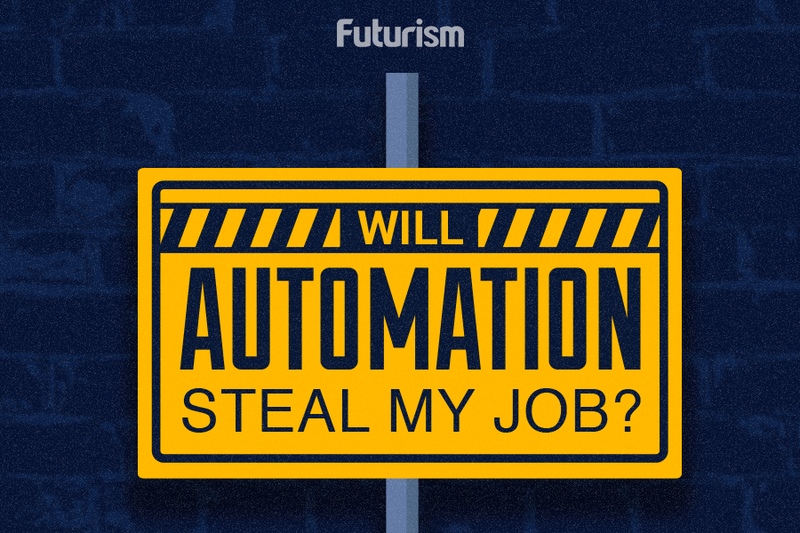 That could mean that some jobs will become fully automated, putting humans out of work. There are a few industries that are especially likely to be among the first to feel the impact of automation; several of which employ the majority of people in the traditional workforce today. Lead generation is all about accurately profiling online behavior to find ripe opportunities, which makes it an ideal candidate for automation. Businesses like InsideSales.com are popular because they use AI to analyze data and find only the best leads for sales teams to pursue. As the tech improves, the leads will get better, and companies will have to use the services to stay competitive. By 2020, 85 percent of customer service transactions may be powered by AI and completely free of human interaction. This change comes as AI makes robot interactions feel more authentic thanks to more advanced personalization. For example, DigitalGenius — which creates automated customer service robots — helps businesses automate customer service chats using machine learning and natural language processing to produce friendly, reactionary chatbots that are more cost-effective than humans. Transportation is another area ripe for automation: in 2015, 4.4 million were injured and 38,300 people were killed on U.S. roads, according to the National Safety Council. Delivery drivers, long haul drivers, and public transit drivers are all likely to be affected by advances in AI. Personal self-driving cars should hit the market by 2018, and commercial applications will follow in short order. According to Morgan Stanley, automated cars will save $1.3 trillion annually by 2035 to 2050 in the U.S. alone. Beyond self-driving cards, warehousing and basic logistics are prime areas for AI. Logistics problems, like dynamic management of route systems in real-time to improve delivery speeds, and efficient space allocation in shipping containers and trucks, are both ideal for AI applications. IBM’s Watson has inspired Ross, the first AI attorney. Ross helps choose the most relevant legal solutions from many cases and presents them in natural language. It also provides real-time monitoring for new decisions that could potentially change a client’s case. AI robots that search databases of medical records and genome sequences have also been inspired by Watson. They search through data to diagnose or find patterns, and are sometimes more accurate than human medical professionals. The Sedasys system from Johnson and Johnson is FDA approved to automatically deliver anesthesia for standard procedure, and a single doctor can simultaneously oversee multiple machines, meaning major cost savings overall. If this seems a little scary—or impacts your line of work—you’re not alone. Mass unemployment is the obvious concern for many considering the ways AI will change the world economy. In 2015, about 8 million people in the US worked in retail sales and cashier jobs—that’s about six percent of the total American workforce. By 2014, there were more than 4.6 million people working in transportation and warehousing according to the Department of Labor—another 3.5 percent. Huge portions of our economy will be affected by the presence of AI. However, the loss of jobs is only part of the story. In fact, research shows that new technologies have created more new jobs than they have destroyed. There will be at least as much meaningful work for people to do, although it may require new time and educational investments for some. The Obama White House’s report on AI from 2016 advocated a four-pronged approach including an expanded social safety net and more funding for technical education. Other thought leaders advocate for the Universal Basic Income (UBI) solution to this problem. For example, Bill Gates believes that although we may not be ready for UBI right now, we will be soon. For now it’s best to focus aid efforts on the most needy in our society, but Gates and others agree that it makes sense to continue to research and testing for UBI programs so we’ll be ready with viable plans when the right time to implement them arrives.